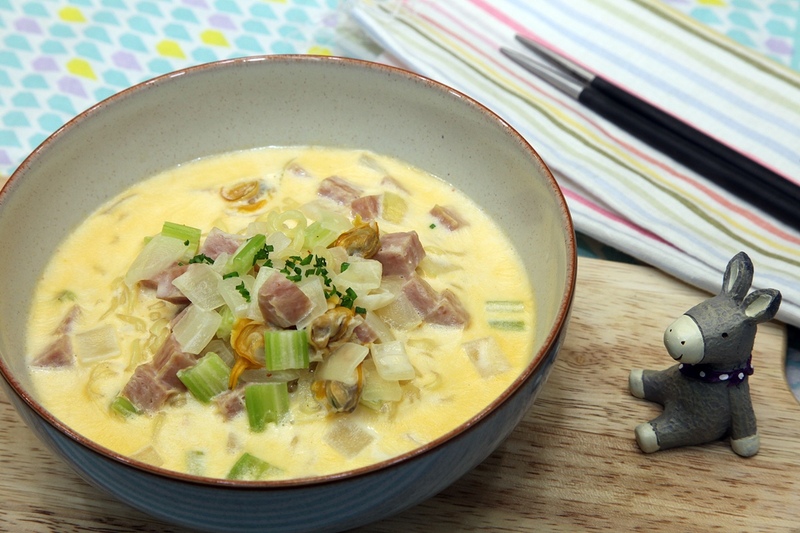 Clam chowder’s smooth and thick taste of seafood and Shin Ramyun’s spiciness blend well together. It is good for relieving from hangover or simply when you are hungry! To give you a cooking tip, if you use boil too much for the clams, it may become leathery. 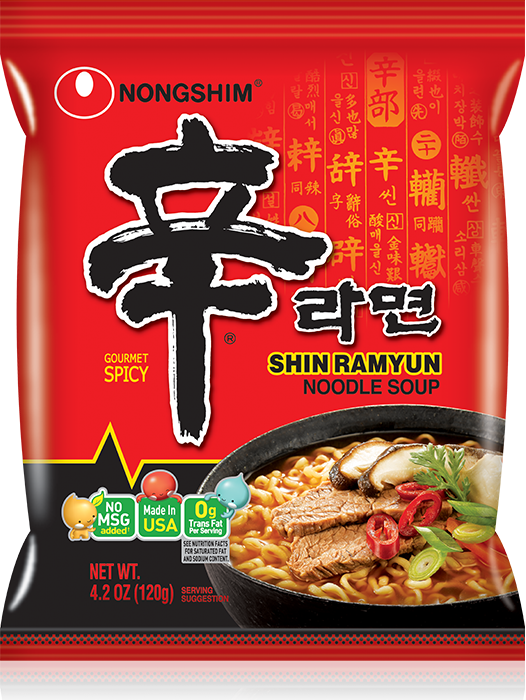 While you are making your broth, if the clam spread its mouth take it out and put it back in 1 minute before the ramyun is finished. 1. 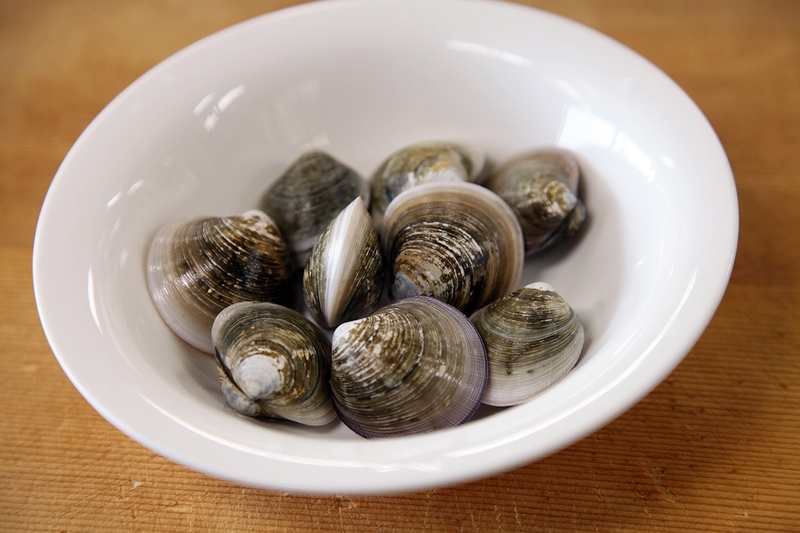 Clean short-necked clam in salt water. 2. 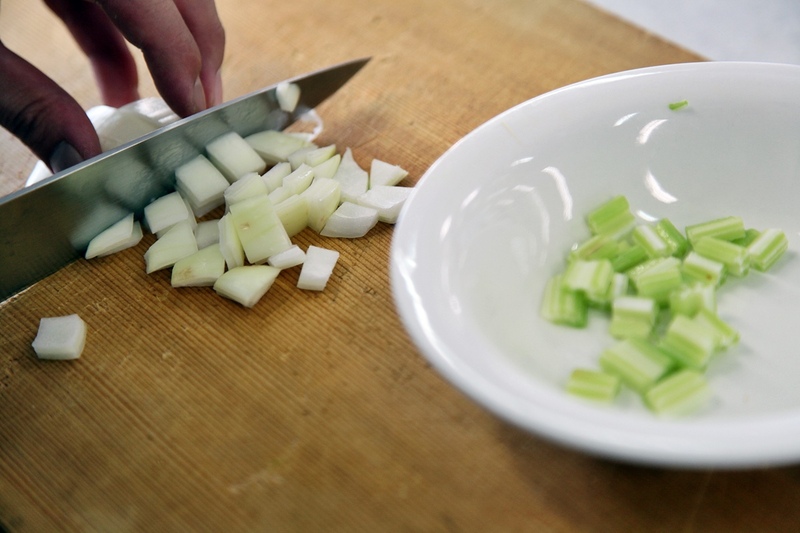 Clean onion and celery. Then cut them by 0.5*0.5*0.2cm. 3. Cut tulip ham by 0.5*0.5*0.2cm. 4. For the shrimp, remove intestines, head and skin. 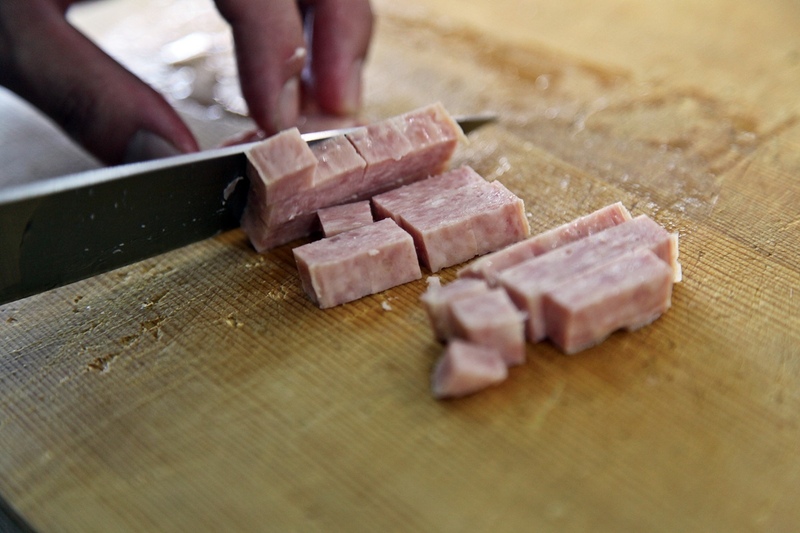 Then cut them by 0.5*0.5*0.2cm. 5. 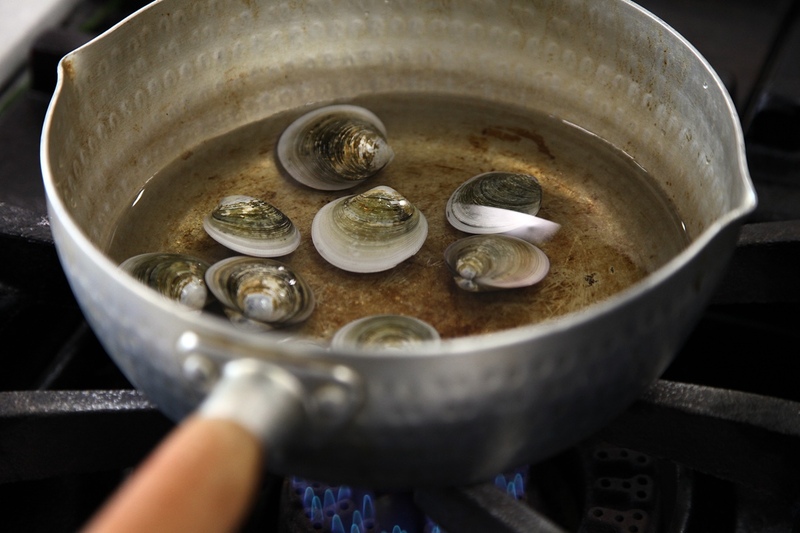 Put 400mL of water in the pot and then put short-necked clam to make the broth. 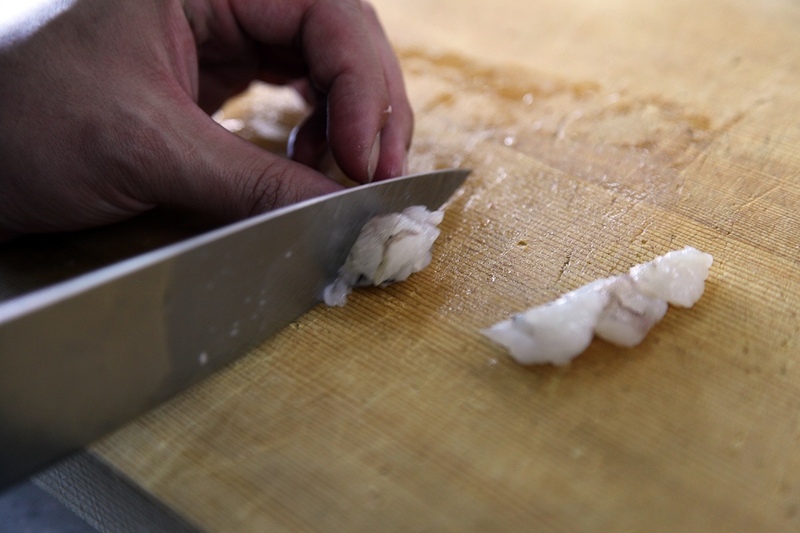 Separate the meat and shell for the short-necked clam. 6. 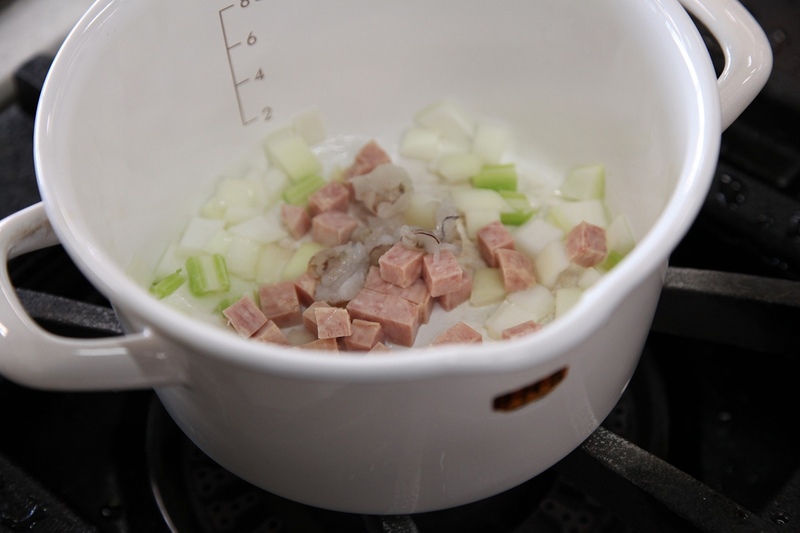 Put the butter in to the other pot and fry it after you put in onion, celery, tulip ham, and shrimp. 7. 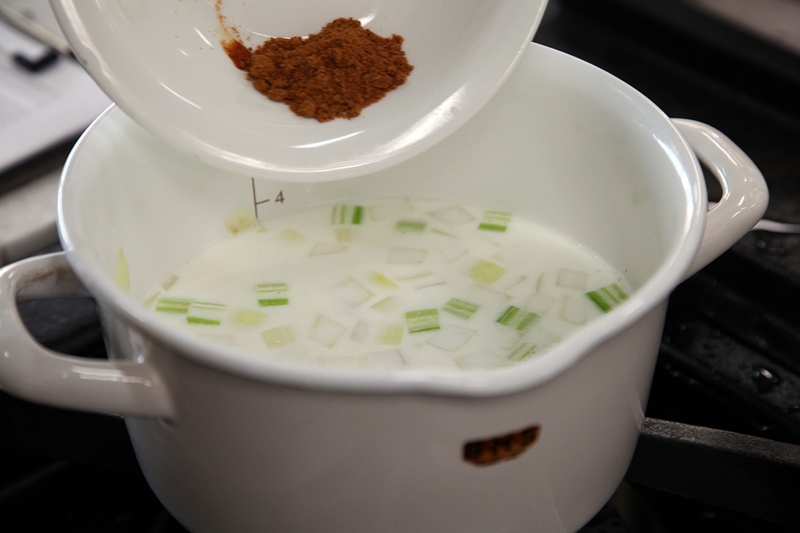 For the broth , put in 300mL of milk, whipped cream,4g of Shin Ramyun soup base, and noodle. Boil it for 3 minutes. Then put in short-necked clam and boil it again for 1 more minute.